Purchase this kit & Options! Now available with Lots of Options including Corrugated Roof & Much More! "Brand New in O Scale!" details. Foot Print: 3-1/2" wide x 2"deep. Need more warehouse space? 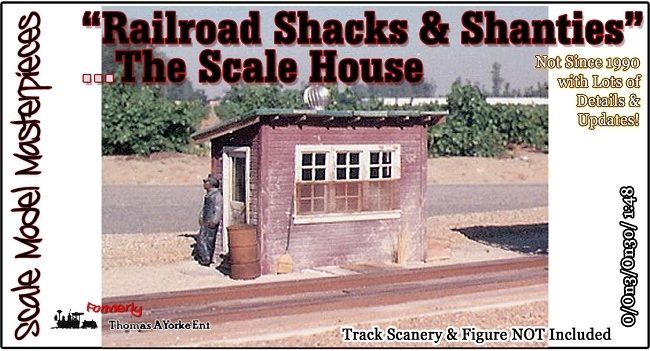 Also available is the "Warehouse #2" kit for a little larger complex. 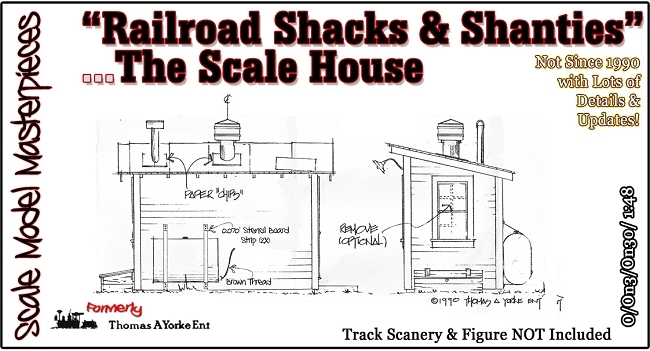 Add the "Warehouse #2" kit (select above) which is similar in design to "Warehouse #1" modeled after the prototype in Micanopy, Florida. This easy to build cast Labstone structure has a shingle roof and sits on eight concrete piers. 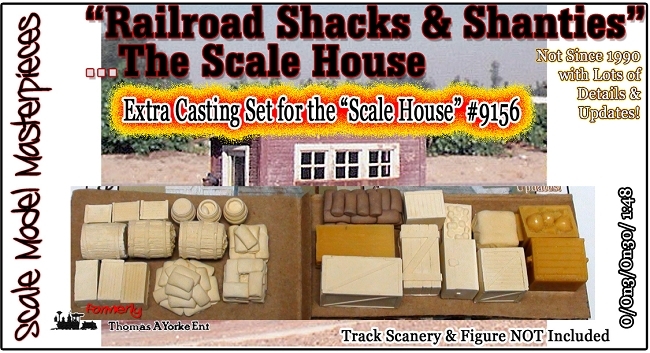 Also available you Pick & Choose the Roofing Material and *Lots* of Options including Corrugated Roof Material, Extra Detail Casting Sets, Warehouse Kit #2 kit, Doctor Ben’s Weathering Stains & Solutions, & Much, Much More! Typical of all Scale Model Masterpieces / Thomas A Yorke Ent. Structure kits, the main walls, brick pillar supports, & miscellaneous detail parts are all cast high-quality LabStone. Would you like this Kit built in another color or configuration to fit your layout? We can do that for you. Please contact us directly for details!